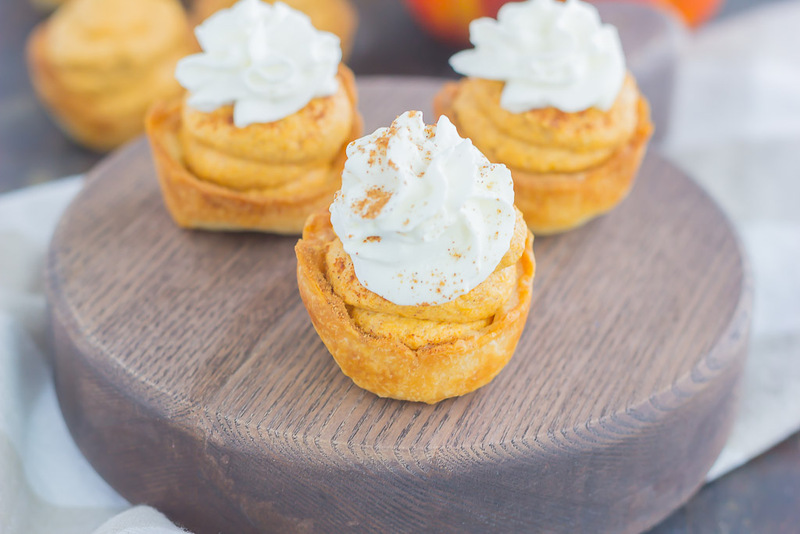 These Whipped Pumpkin Pie Bites are perfectly portable, poppable, and so easy to make. 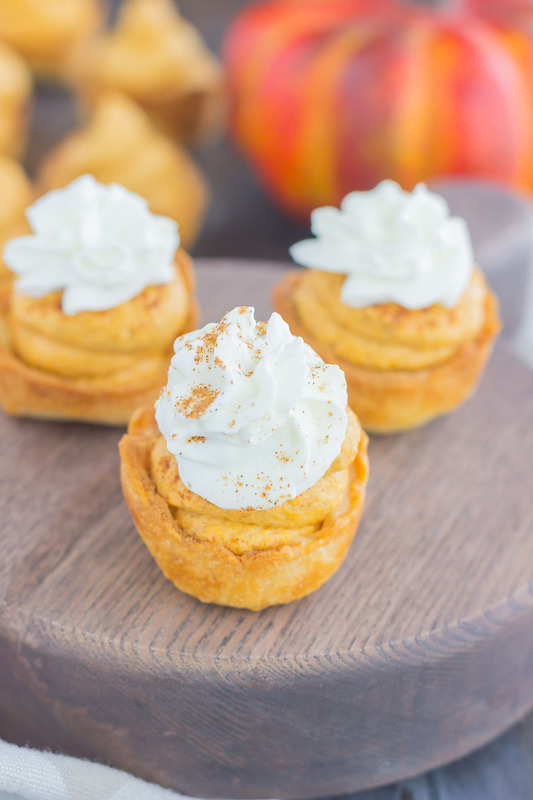 With just a few ingredients and hardly any prep time, you can have your pumpkin pie in bite-sized form! With Thanksgiving just days away, it’s getting down to crunch time. So tell me…are you hosting Thanksgiving? Prepping sides, desserts, etc. to share? Or are you lucky enough to just show up and eat ALL the turkey? I’m in the latter, and thankful for that! While I don’t host Thanksgiving, the hubster and I will be going to my parents’ house for dinner, and my in-laws house for dessert. While that gets me out of cooking the bird, I’m still in charge of some dishes to bring. Dessert being one of them. 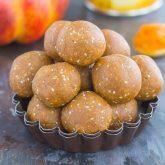 And if you’re like me and need to find a quick and easy treat to share this holiday season, I’ve got the cutest (and most delicious) pumpkin-y goodness for you. 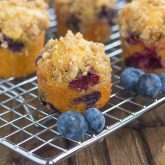 If you’ve been hanging around here long enough, then you know that I’m a sucker for anything mini or bite-sized (remember these Blueberry Coffee Cake Bites or those Brownie Bites with Nutella Frosting?). 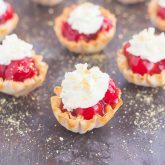 And when it comes to pie in mini form (hello there, Mini Strawberry Heart Pies), sign me up! I mean, what’s better than devouring these Whipped Pumpkin Pie Bites? They’re perfect to serve for a crowd and are almost too cute to resist! It’s easy to make, requires the oven for just the crust, and can be assembled in no time. 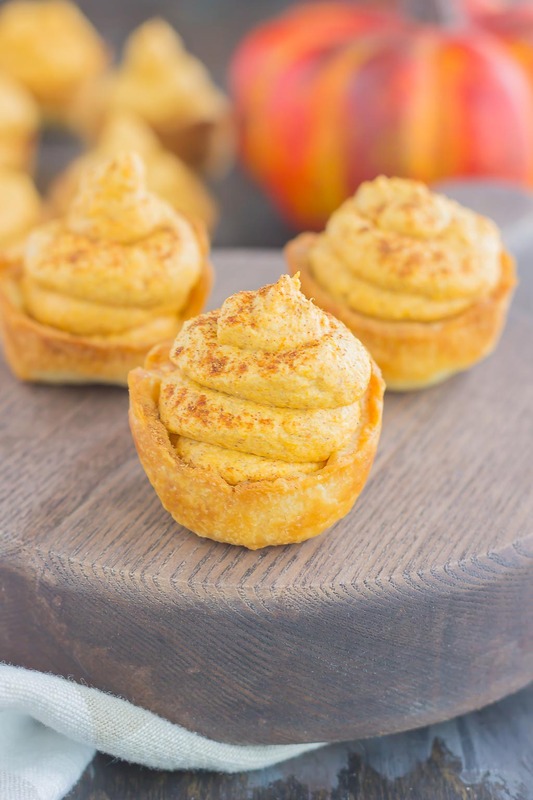 Light, fluffy, whipped pumpkin-y deliciousness, all wrapped up in a mini pie crust cup. Now that’s how I want to be devouring my pumpkin pie this holiday season! I hope you all have a wonderful Thanksgiving, full of fun, laughter, love, and food! Looking for more pumpkin desserts? I’ve got you covered! Preheat oven to 450F. Lightly grease a 24-count mini muffin tin with non-stick cooking spray. Set aside. Unroll both pie crusts onto a flat surface. Using a round biscuit cutter or cookie cutter, cut 24 circles from dough. Place each circle into each muffin well and lightly press down and up sides to form a crust. In a medium bowl, beat the cream cheese and powdered sugar with an electric mixer or stand mixer with fitted paddle attachment until smooth and creamy. Mix in pumpkin and pumpkin pie spice until fully incorporated. Gently fold in whipped topping until combined. Spoon pumpkin mixture into cooled pie crusts. Top with whipped cream and a dusting of pumpkin pie spice, if desired. Crust will shrink when baking, which is normal. If needed, use the back of a spoon or small shot glass to lightly press down on bottom and sides of crust immediately when it comes out of the oven to make a deeper indentation for filling. Leftover pumpkin mixture can be refrigerated and used as a dessert dip. Serve with graham crackers, vanilla wafers, or pretzels, if desired. I'm one of the lucky ones that gets to host this year! Aka, I'm on turkey duty. LOL. It's fine tho as long as I can count on desserts like THESE! Love love love these little pumpkin pies, Gayle! They look so easy! Yay for turkey duty! Thanks for the sweet comment, Sarah! Our Thanksgiving is over for the year, but I could honestly eat turkey every week, especially with dressing, gravy and desserts like these! So nice that you are going to family's for dinner and dessert. We usually don't cook and go to my family too. 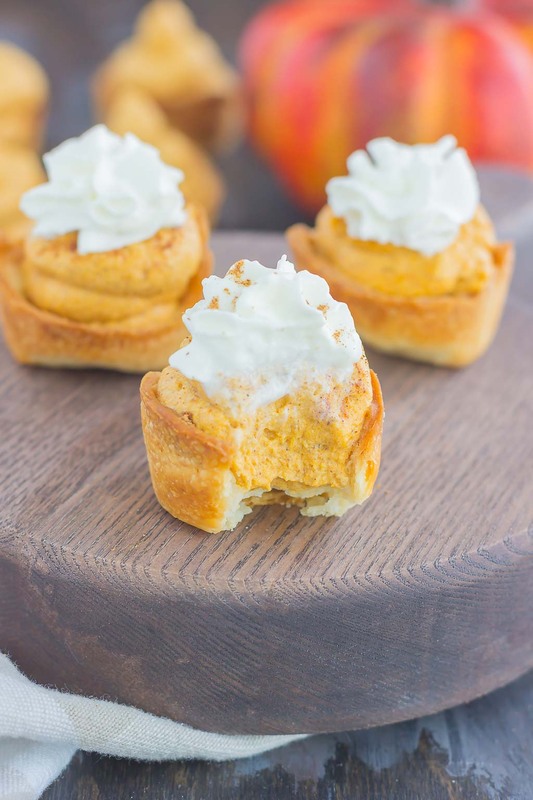 These whipped pumpkin pie bites look dreamy, Gayle! And I love anything bite sized (though, I'm bound to eat more than one ;) ). Pinned! Happy Thanksgiving to ya! I could eat turkey a lot too, especially if the yummy sides and desserts were involved! Thanks for the kind words and pin, friend! I'm not hosting for once but am in charge of 4 dishes, one being pumpkin pie. Most people want a "small sliver" of each pie so I love serving mini desserts -- they're so much easier! These bites look so creamy and delicious and I could easily pop half a dozen! Pumpkin pie duty is the best! Thanks, Marcie! Like you, we're joining my parents for dinner and then heading to the in-laws for dessert. I'm bringing along the stuffing and desserts. These mini desserts look so delicious! I could pop a few in my mouth right now!! Have a happy holiday, Gayle! Stuffing and dessert sound like the perfect dishes to share! Thanks for the pie love, friend! Happy holiday to you! These bites look so cute and delicious! I love anything bite sized. If you can eat it in one bite, the calories just don't count! ;) Hope you have a great Thanksgiving! Bite sized is the best! Thanks for the sweet comment, Leanne! Happy Thanksgiving to you! These are adorable and perfect for eating a million of :) Happy Thanksgiving!! These are so cute. My kids would love them. I may have to add them to our list of Thanksgiving desserts. Happy Thanksgiving. Thank you, Christine! I hope you enjoy these if you try them. Happy Thanksgiving to you, too! I'll definitely make these for Thanksgiving! So cute and easy to make! I never host Thanksgiving, so I almost always make the desserts. Can't wait to eat all the turkey! Thank you, Mira! Happy Thanksgiving! Another delicious pumpkin treat! These little pie bites sound perfect for the holiday, since baking a larger pie always feels time consuming and intimidating for non-bakers like myself! :) Have a great time with your families, Gayle! Thanks, Blair! Happy Thanksgiving to you! These bites are an ultimate treat recipe, Gayle. 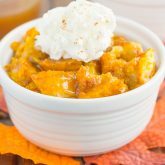 Excellent pumpkin recipe which I will definitely try these days. Keep up the awesome work!